Born and brought up by the sea in Cliffoney, Prannie has one of the most unusual and interesting first names you could come across. I make a mental note to ask her about it. Her childhood sounds truly golden; brought up in a rambling house, with a productive garden, drenched in sunlight and glorious days spent in and on the sea just down the road. They learned to swim like fish, early preparation for summer jobs as lifeguards. Her mother kept a cow for milk; they made their own cheese and buttermilk. Animals, especially dogs were always part of the picture for Prannie and her two sisters. Idyllic. Her parents were a couple well ahead of their time. Her late father a qualified doctor and practicing dentist, cared deeply about nature and instilled in the young Prannie an abiding love of it. He knew the names of everything that grew in the hedgerows and in the fields. He loved the seashore with its seaweed and shellfish bounty and she inherited that in spades. Her mother had been a hotel manager in the likes of The International in Killarney when silver service was the norm. In the much lamented absence of similar career opportunities in Cliffoney, she created her own – opening the first B&B in the area and making a huge success of it. Both parents were passionate about the environment, growing organically (before it was fashionable), avoiding pesticides and harvesting sustainably. Good food was important to them and visiting friends wryly recalled dinnertime conversations about the nutritional value of French breakfast radishes versus lettuces! The Aga was always on with a pot on the go, and baking in the oven. No wonder people enjoyed coming to stay. Running a B&B involved the entire family and it was great training for the three children. All three helped in the kitchen, served at the table and took on housekeeping duties too. Surly teenagers today would learn much from meeting and greeting guests from all over the world as well as being unofficial tourism advisors. Boredom wasn’t an option. She recalls some exotic visitors such as the people who organised the Munich Olympic Games – and being pushed out the door behind them to make up a foursome for tennis. This experience paid off in college in Galway where she studied psychology. Anytime there was a visitor to be entertained Prannie got the job. The upside was meeting luminaries such as John McGahern, the literary genius. She moved to Cork studying medicine followed by an internship in Limerick and GP training in Donegal where her now husband worked. The very aptly named Johnny Waters, a marine engineer and fishing boat skipper came from Inishmurray island stock, son and grandson of the Kings of the Island. As a young married couple they moved back to Sligo, settling in Johnny’s childhood home, the old coastguards house in Streedagh, just 6 miles from where Prannie was born. They shared a love of both earth and sea, and their first act was to get the garden sorted and put up a polytunnel. Sorting the house came later. Back by the seashore, Prannie once again indulged her love of seaweeds and began bringing friends down to the shore to share some of her secrets. Through Hans and Gaby Wieland, she facilitated a course at the Organic Centre which led to many more. 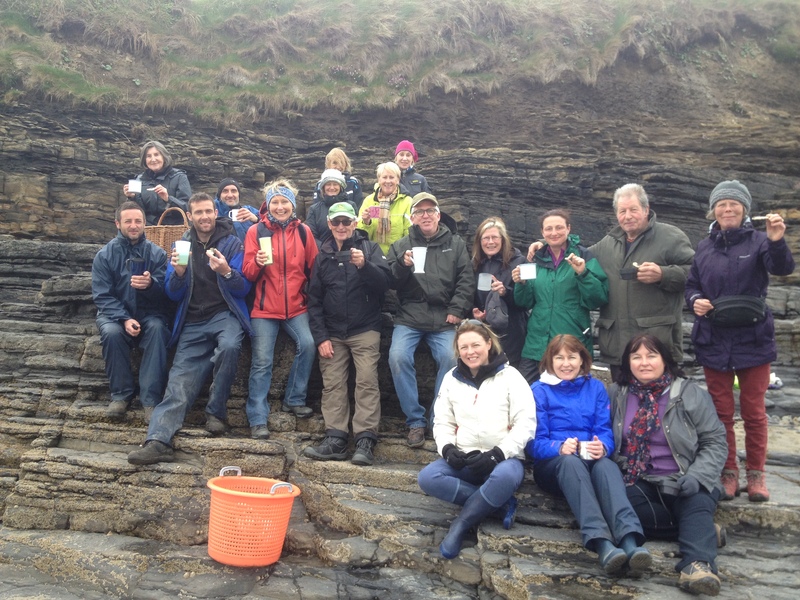 Her copious course notes eventually became a book The Irish Seaweed Kitchen. Prannie was forging a new and different career from her medical one – or perhaps complementary is a more appropriate description. 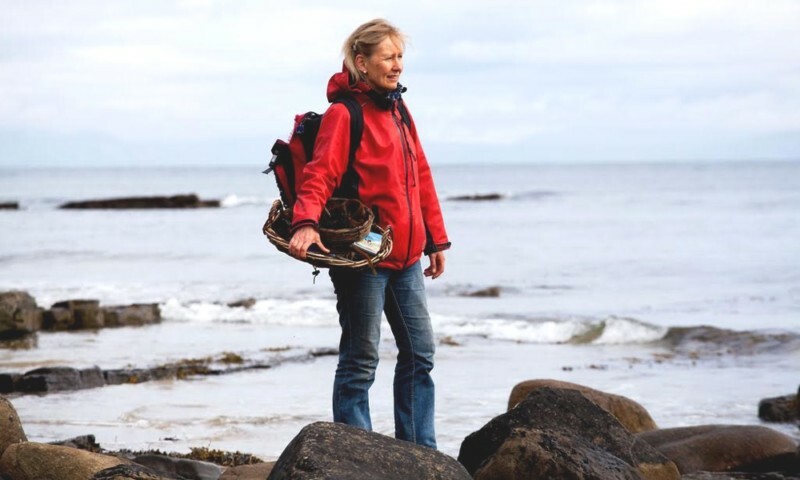 Today she works part time in Public Health and devotes the rest of her time to leading seaweed walks, collaborating with chefs and foodies worldwide, and generally developing the ‘seaweed sector’ which she has really made her own.